FLOWERS® is an acronym based on seven concepts I consider essential to achieving excellence in direct-care nursing. The framework is a product of research and observations I made during years of practicing and teaching direct-care nursing. Seeds of FLOWERS® are planted in basic nursing education programs. Growth is nurtured throughout practice. Full expression of FLOWERS® takes years of practice, research utilization, continued education, professional maturity, and strong personal commitment. A supportive and nurturing work environment is critical for growth. Each concept is explained briefly in pages that follow. This description is not intended to be nor should be considered a concept analysis. I plan to complete and post a conceptual analysis of each concept in the future. Although healthcare technology has changed dramatically over the last few years, fundamental needs of patients have not. Fundamental care needs of patients are met through a variety of low and highly technological means. Critically ill patients are often sustained on mechanical ventilation, extracorporeal membrane oxygenation devices (ECMO), enteral feedings, dialysis, complex wound care and other life-saving measures and devices. Others require a lower level of complexity. Comfort, assistance with eating and drinking, bathing, getting to the bathroom, brushing teeth, washing hands, and safety measures are common to every patient encounter. These may not be immediate high-tech measures, but their neglect has measurable negative consequences. All fundamental care needs, whether delivered through the most complex technological measures or basic nursing techniques, must be provided with exquisite professional skill fostering dignity and respect. No nursing skill has greater value than another. 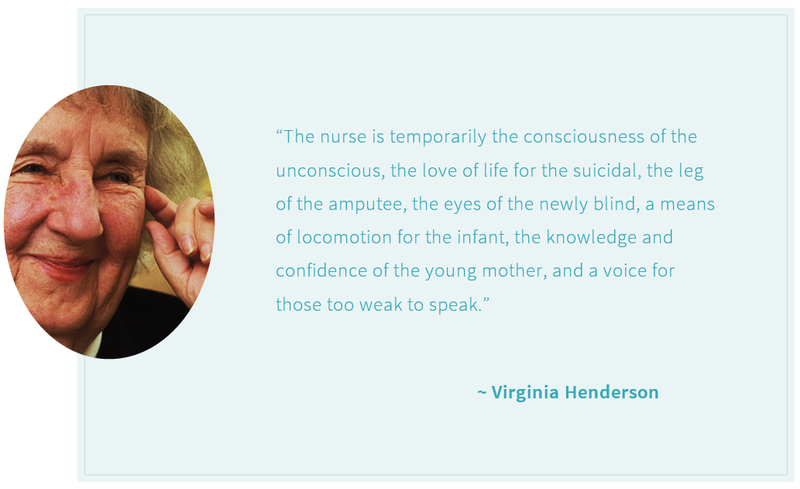 Renowned nurse leader and theorist, Virginia Henderson, captured the life-saving nature of nursing in her eloquent description highlighted on this page. These activities include nutrition, mobility, elimination, oxygenation, hygiene, comfort, spirituality, etc. As nurses, we are very familiar with these fundamental aspects of life. In fact, historically, fundamentals of care have defined us. “To make the distinction between a trade and a profession…let me say that the laying on of hands to wash around a body is an activity, is a trade; but if you look behind the activity for the rationale and intent, look beyond it for the opportunities that the activity opens up for something more enriching in growth, learning and healing production on the part of the patient – you have got a profession“ (Hall, 1969, p. 86). Often, some fundamental care needs are delegated to technicians or aids to ‘free up’ nursing time for more ‘complex’ procedures. At times, the ‘more basic measures’ are eliminated due to competing priorities – a decision called “rationing nursing care”. 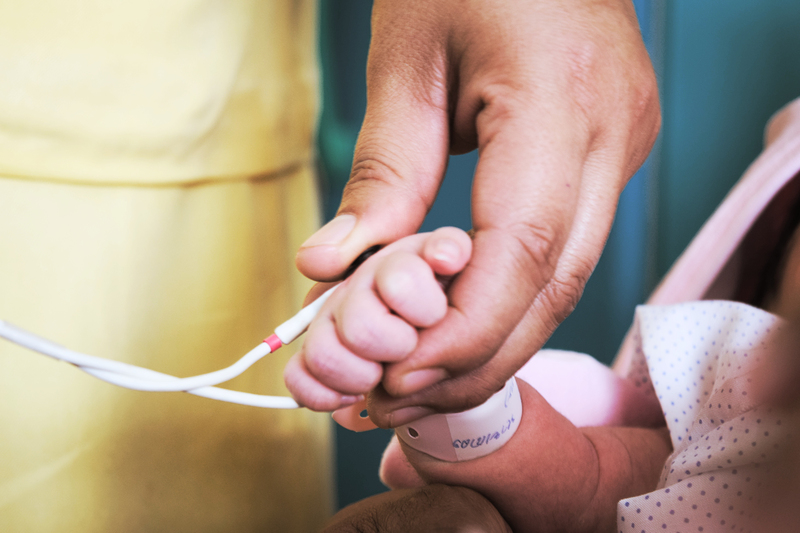 Meeting fundamental care needs of patients are valuable opportunities to connect with patients and families to promote physical and emotional comfort, reduce anxiety, and restore hope. 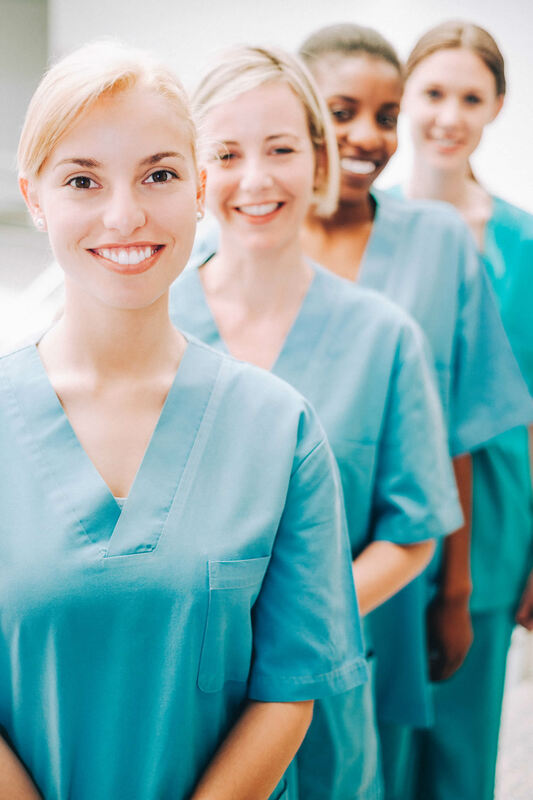 Time constraints, growing expectations, and current practice models encourage and even demand direct-care nurses delegate fundamentals of care to those with less education. Often, there is no time to follow-up on the care given by others. Yet, if professional nurses ‘give up’ this aspect of care it jeopardizes patient outcomes and diminishes nursing. Direct-care nurses are encouraged to reclaim this critical aspect of care. When consumers demand compassion and quality, often they simply are asking professionals to ‘get back to fundamentals’. Cameron’s (1993) research demonstrates patient outcomes are enhanced when nurses convey authentic interest in and compassion for voiced and unvoiced patient needs. Professional nurses are best prepared to anticipate, assess. and deliver fundamentals of care. Leader’, ‘leadership’, and ‘leadership teams’ are terms commonly reserved for health care managers or administrators whose work requires them to be physically distant from patients’ beds or stretchers. Unfortunately, this leaves a false impression leadership is achieved only by distancing oneself from the point of care and securing a seat in an office and boardroom. Leadership must be considered more broadly to capture extraordinary leadership behaviors demonstrated by direct-care nurses working at the bedside and stretcher side. Patrick, Laschinger, Wong, & Finnegan (2011) argued leadership attributes are embedded in professional practice behaviors of staff nurses. They defined clinical leadership as “a registered nurse who influences and coordinates patients, families and health care team colleagues for the purpose of integrating the care they provide to achieve positive patient outcomes” (p. 450). Similarly, Stanley and Sherratt (2010) differentiated managerial and bedside nursing leadership, suggesting bedside leadership is crucial but underappreciated. ‘Leadership at the Bedside’ is used in the FLOWERS® framework, to refer exclusively to professional direct-care nurses. 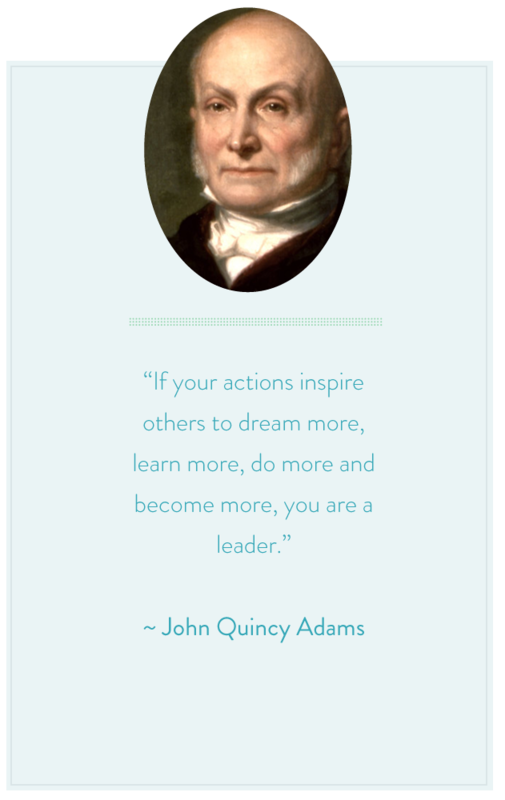 Their unique leadership skills are crucial to achieving positive patient outcomes and must be applauded and nurtured. Whether executing nursing skills, teaching and inspiring colleagues, educating patients and families, seeking alternative care options, planning for a successful discharge, or coordinating plans of care with medical and ancillary staff, crucial leadership behaviors are demonstrated. Contemporary health care needs leaders at the bedside. 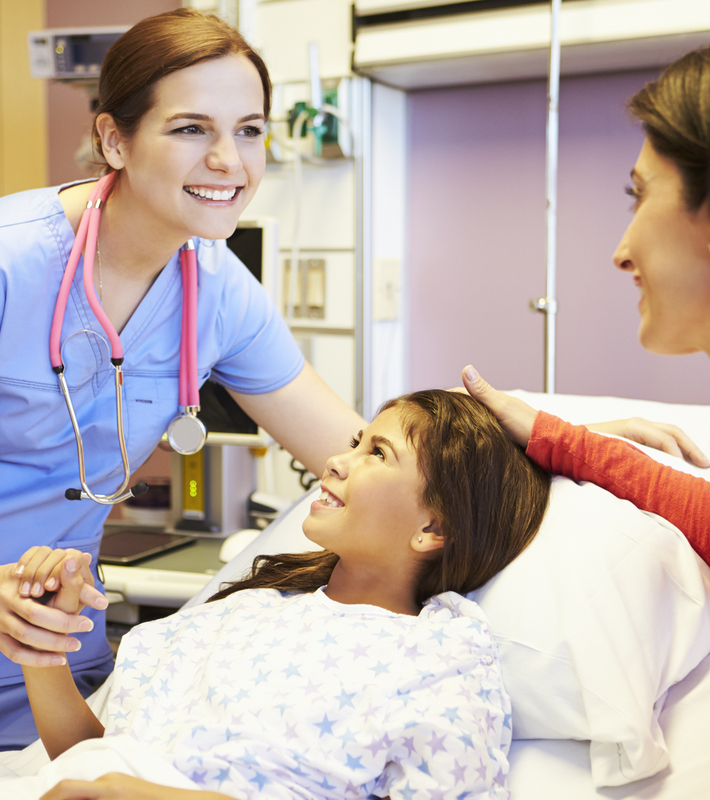 Nursing education programs should plant the seeds of bedside leadership early in the curriculum. 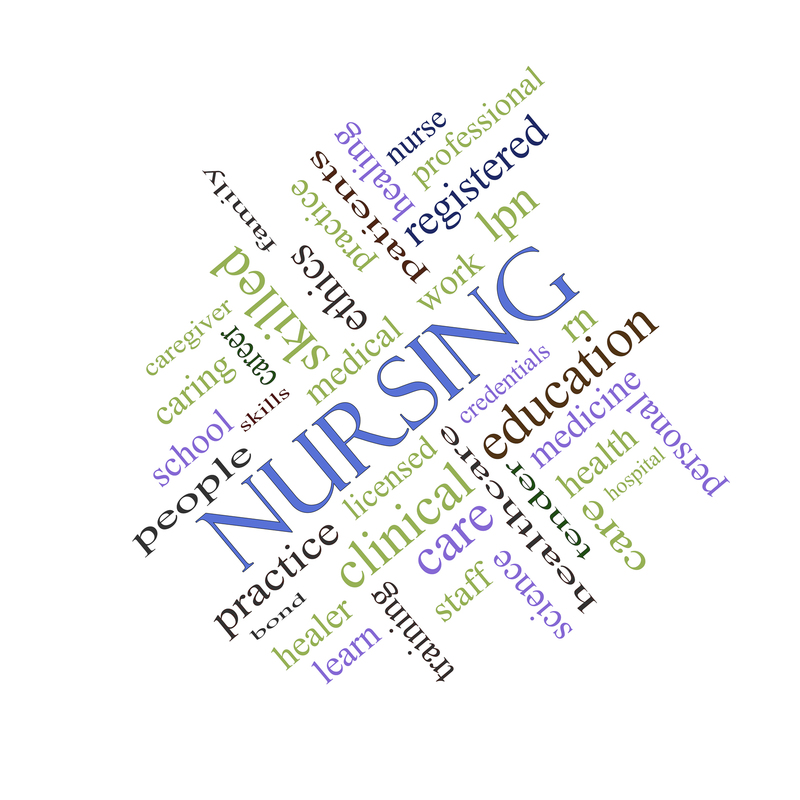 Clinical conferences should include opportunities for students to describe how they or primary nurses exhibited clinical leadership. The practice setting should reward and nurture leadership behaviors so direct-care nurses realize leadership is not a distant goal but a present reality. I encourage all direct-care nurses to take pride in their leadership skills and use every opportunity to realize and optimize their leadership potential. Patient’s and their families depend on direct-care nurses and their willingness, courage, and capacity to lead. Outcomes of care, especially nurse-sensitive outcomes are the focus of health care evaluation and reimbursement (ANA, 2013, Joint Commission, 2014). Nursing decisions and actions at the point of care impact patient outcomes in countless ways including patient satisfaction, length of stay, rates of infection, and reduction of adverse events. Professional direct-care nurses are invaluable at the point of care. Intense scrutiny and outcomes measurements are well understood by direct-care nurses. Achievement scores and graphs are displayed conspicuously on bulletin boards and computer screens throughout nurses’ workspaces and lounges. These scores become primary topics of discussion in staff meetings and email alerts. They seem to drive contemporary health care. Nurses often wonder if their profession has been reduced to nursing standards versus patients and families. including standards and benchmarks are not going away. Rather, ‘politics of quality’ assure regulations will increase exponentially far into the future. (Find over 600 standards at http://www.qualityforum.org). However, regulatory measures and methods for enforcement can be punitive, restrictive, and professionally dispiriting. Alternative methods must be employed that respect professional freedom and dignity. Thus, I propose ‘Ownership of Outcomes’. I selected ‘ownership of’ over ‘accountability for’ outcomes because ownership implies an internal versus external motivation for behavior. 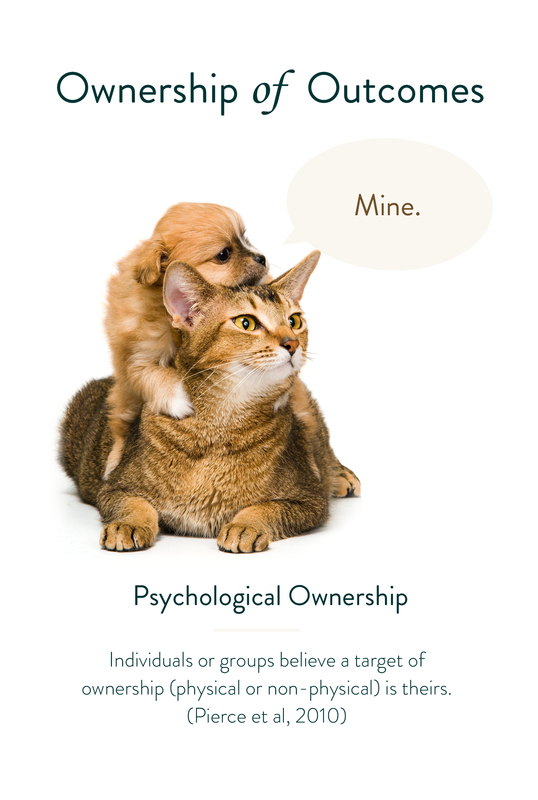 Pierce, Kostova, and Dirks (2003) defined psychological ownership as a “state in which individuals feel as though the target of ownership or a piece of that target, either physical or non physical, is ‘theirs’ (i.e. ‘It is mine!’). According to Pierce et authors, the target of ownership becomes part of the person’s identity and inspires an innate drive to control and protect it. Similarly, ‘ownership’ occurs among teams or groups, where members of a team feel mutual ownership of a particular target or goal. Ownership of outcomes is an attitude which individual nurses and groups of care providers can achieve. Many have. But it is extinguished gradually by restrictive and punitive regulations. Benchmarks and standards are valuable yardsticks and guides for practice. But rather than dictate and regulate with a heavy hand, policies should inspire a sense of ownership and pride. 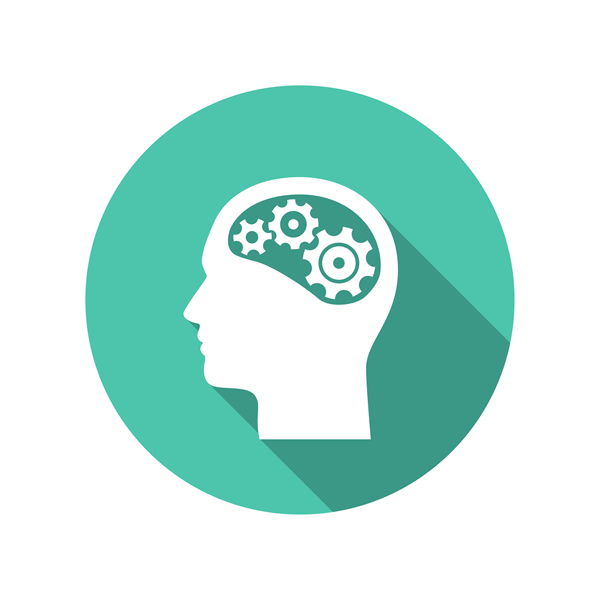 Psychological ownership of outcomes, whether individually or within a group, has potential for creating powerful connections between the owner’s sense of self and outcomes of care. This attitude must be inspired and rewarded. Quality can be achieved consistently when nurses are internally motivated through ownership versus externally controlled by regulations. We have all worked with ‘wise’ nurses. The wise nurse has years of experience, solid knowledge base, an unshakable demeanor, and an effortless approach to complex situations. The wise create calm out of chaos. The wise don’t hesitate to challenge conventional wisdom. They use rules as guides, and continually search for the ‘best way’ to produce the best results. They are not threatened by change, but carefully examine it. They embrace change that is good, and challenge the unacceptable. Extensive experience and knowledge informs every decision and action and keeps them solidly within boundaries of quality and safety. Clark (2011) described practice wisdom as the “readily recognizable but elusive and ineffable quality that distinguishes the deeply skilled, highly regarded professional from the merely adequate functionary” (p. 57). Aristotle considered wisdom an intellectual virtue and identified two types, phronesis (the practical) and Sophia (the truth seeking or highest form). Both types were considered essential for understanding human actions. More recently, wisdom has been described using certain qualities or attributes. For example, Baltes and Smith (1990) listed five components of wisdom: rich factual knowledge, rich procedural knowledge, lifespan contextualism, relativism, and ability to understand and manage uncertainly. Meacham (1990) added the element of doubt and suggested that wise persons recognize imperfection of knowledge, and are able to balance knowing and doubting successfully. The wise see beyond existing knowledge and norms and search for new ways of doing and knowing. Nothing is accepted blindly. Those that think they know it all are unwise. Finally, the wise attempt to understand and evaluate consequences of actions and adapt accordingly (Birren and Svensson, 2005). Thus, the wise are not threatened by introspection or retrospection, but consider them essential for personal and professional growth. Direct-care nurses are experiencing effects of an unprecedented influx of evidence-based standards, benchmarks, regulations, and protocols. They are practicing nursing in an era of technological and informational bombardment. Knowledge is being generated at a rate that seems to exceed one’s capacity to process and respond. Wisdom in nursing has never been more important. It is critical nurses develop the capacity to evaluate the merit of current science and its applicability to practice. They must be wise purchasers of information, separating valuable information from wasteful distractions. McKie and co-authors (2012) argued rational, technical, and evidence-based approaches to nursing practice, for all their merits, are insufficient to address the complexity, unpredictability, and ambiguity of patient care. Nursing wisdom is not replaced by science. Rather, wisdom is used within the context of unique situations to evaluate scientific evidence and select appropriate nursing actions. 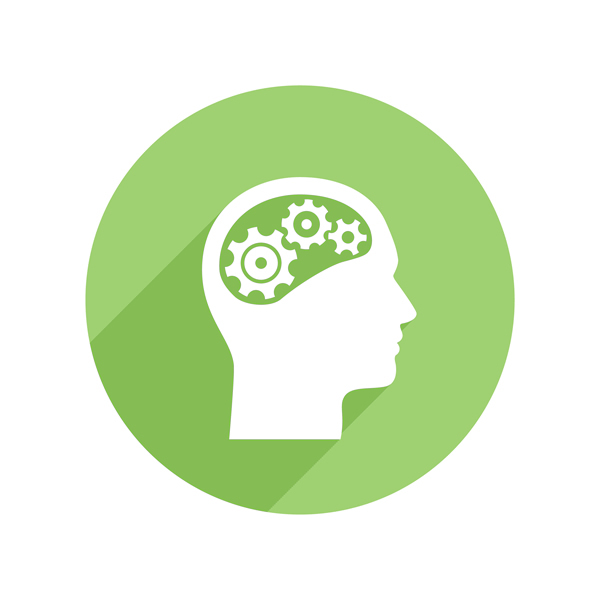 Theoretical and practical knowledge are two critical components of nursing wisdom. A high degree of theoretical knowledge does not replace practical experience. Likewise, a lifetime of experience does not compensate for deficient theory. Therefore, nursing education and practice must value and foster both theoretical and practical knowledge. As Benner (2000) explained, “regardless of stage, no practitioner can practice beyond [her] experience, despite necessary attempts to make the practice as clear and explicit as possible (p.103). Only a very wise nurse dares to challenge, question, and think beyond the boundaries of rules and regulations to ensure each patient situation is viewed as unique and each patient and family is treated with dignity and respect. Ethics addresses values and principles of human conduct. Ethical theories are used to determine the ‘rightness’ or ‘wrongness’ and ‘goodness’ or ‘badness’ of certain actions, motives, and consequences of actions. 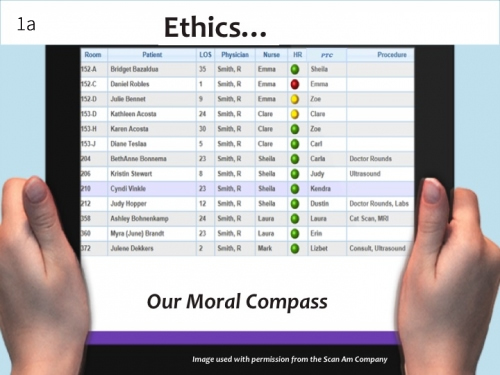 Ethical conduct is essential for excellent patient care and successful workplace relationships. ‘Transformation’ of America’s health care system has pushed ethics closer to the forefront. Health care legislation has inspired numerous moral questions relating to human rights, redistribution of resources, accessibility, health care financing, and other multifaceted social issues. Nursing is not immune to the surge of moral questions. Increased patient numbers and demands, escalating scrutiny and regulations, limited resources, e-monitoring, cultural diversity in the workforce, staffing and reimbursement concerns, and many other complex issues lead to multiple ethical controversies and ethical stress. Nurses must be prepared to respond to a flood of moral and ethical questions and dilemmas. Yet, what moral theories are most useful in resolving inevitable moral debates? Some ethicists suggest traditional utilitarian and deontological approaches to ethical reasoning may be inadequate in light of present challenges. For example, Harris (2009) explained when “we subject an ethical problem to analysis using one theory, such as utilitarian theory, and then subject the same problem to analysis using another theory, we find that the two theories give different and incompatible results” (p. 51). Not only does this leave the problem unresolved, it implies both outcomes are morally equivalent. Virtue-based ethical theories are gaining greater attention. Advocates such as Armstrong (2006) and Putman (2012) suggested rule- or act- centered theories require a nurse to ‘act’ in a certain manner while virtue-based theory implies the nurse is virtuous in character. Putman (2012) argued acts of kindness prescribed by rules appear inconsistent or disingenuous to patients, while acts of kindness performed by virtuous nurses are genuine. Florence Nightingale represented one of the first advocates for the ‘virtuous nurse’. She believed (as cited by Bradshaw), “It is what the nurse is inside that counts, the rest is only the outward shell or envelope”(p. 12). Compassion, gentleness, cheerfulness, loyalty, truthfulness, and loyalty were cited as character traits of the good nurse. However, Selman (1997) argued traditional virtues were minimized when ‘new professionalism’ was introduced. He maintained nursing loses its ethical foundation when it embraces science over character. Considering Selman’s argument, perhaps it is time to reexamine the value of virtue ethics to nursing. As Gong (2010) explained, “Virtues are moral resources for modern people to resist modern evils” (p. 255). Ethics is included in the FLOWERS™ framework to emphasize the value of ethical theory to contemporary nursing practice. Current practice demands solid ethical decision-making. However, not one moral theory is perfect and can produce inconsistent results. Therefore, it is essential nurses study in depth all existing ethical theories, closely examining the strengths and limitations of each. Nurses must have courage to face moral issues head on, and possess knowledge, experience, and confidence to know when and how to select and apply ethical theory. Figure 1a is an image of a computerized assignment board. The outcome of this shift is dependent upon the values of every person listed on the board. Direct-care nurses are involved in multiple and complex professional relationships. 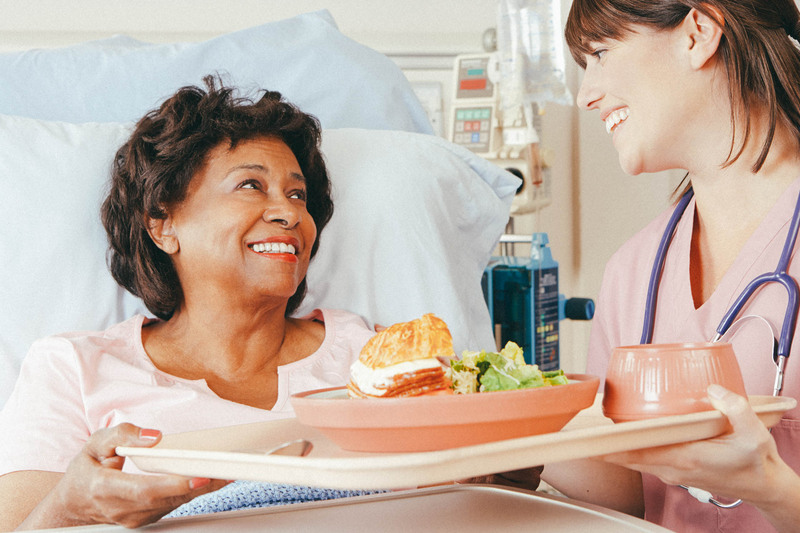 In addition to the intimate caring relationships established with patients and families, the direct-care nurse relates to peers, ancillary staff, medical staff, outside agencies, and the list goes on and on. Each relationship demands a set of skills to achieve the goals and objectives of the interaction and has potential for creating a caring healing environment. Nolan and Walsh (2012) described the inter-subjective web of influence affecting every relationship, noting each person brings to the relationship memories, values, fears, or rules that affect in–the-moment interactions. Therefore, it is not surprising misunderstandings, mistakes, and miscommunications can occur. Yet, these types of problems are unacceptable in contemporary health care. Excellent intra- and inter-organizational communication and strong interpersonal relationships are crucial to achieve safe and effective care. Doane (2002) suggested nurses must be prepared for the complexity and “messiness of humanistic” nursing (p. 403). Relational competence is critical. Carpenter defined relational competence as “attributes of the individual that serve interpersonal goals and promote positive relationships” (p. 2). Five dimensions influence persons’ capacity to initiate relationships (assertiveness, dominance, instrumental competence, shyness [negative loading], and social anxiety [negative loading]) and five dimensions affect the ability to enhance or maintain relationships (intimacy, trust, interpersonal sensitivity, altruism, and perspective taking). The theory has been used successfully to understand and promote employee and customer relations in business. 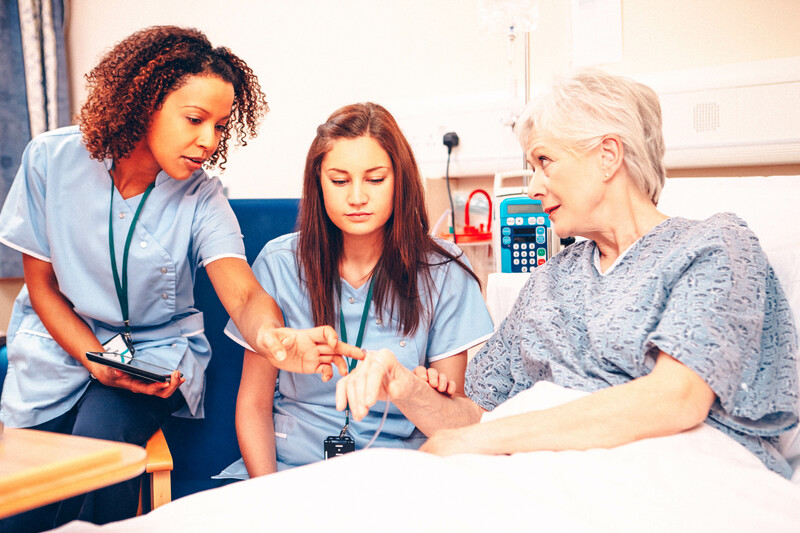 The theory has intuitive value for nursing students as they prepare for practice and for direct- care nurses who wish to improve relational skills. Likewise, the theory provides a wealth of hypotheses for relationship-based nursing research. Skilled Caring is demonstrated by meticulous execution of psychomotor skills and coincident attention to safety, dignity, comfort and well being of patients and families (Sprayberry, 2014, p. 127). I consider it the highest level of psychomotor skill acquisition and an essential component of direct-care nursing. ‘Skilled caring’ represents two separate but highly interrelated concepts. ‘Skilled’ denotes the psychomotor and technological aspects of nursing that are performed with competence and confidence. ‘Caring’ represents the compassionate and comforting facets of nursing. Combining the terms conveys a nurse’s unique capacity to execute technical skills and at the same time convey compassion, kindness, and respect for patients and families. This ability requires competence and confidence in the performance of psychomotor skills and a sincere appreciation for the intimacy created during their execution. Psychomotor skills are portals through which nurses are privileged to enter and touch the private worlds of patients physically and emotionally (Sprayberry, 2014, p. 127). Nursing actions are conduits for empathy, presence, respect, compassion, gentleness and other elements of caring (Cossette, Pepin, Cote, & de Courval, 2008). Noh, Arthur, and Sohng (2002) described two essential elements of nursing skills: correct methods and humanistic performance. Likewise, Khademian and Vizeshfar (2008) defined two categories of caring: instrumental technical skills and expressive behaviors (trust, acceptance, faith, genuineness). Locsin (2006) used the term “technological competence as caring” to explain the harmonious relationship of technology and caring and explained “nursing technologies are used to know persons as a whole in the moment” (p. 381). Skilled Caring is included in the FLOWERS® framework as an essential component of direct-care nursing. Executing psychomotor skills are valuable opportunities to demonstrate the unique art and science of nursing. No other provider, technician or professional, is capable of achieving ‘skilled caring’. Direct-care nurses must take pride in their capacity to provide ‘skilled caring’, and defend this component of practice as their exclusive privilege. Cameron, B.L. (1993). 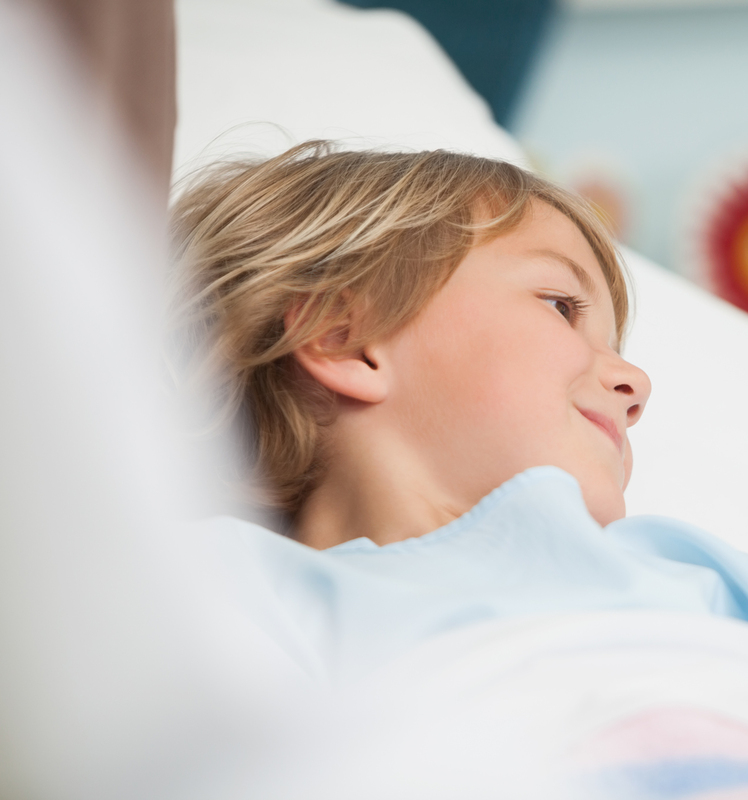 The nature of comfort to hospitalized medical surgical patients. Journal of Advanced Nursing, 18, 424-436. Hall, L. (1969). The Loeb Center for Nursing and Rehabilitation, Montefiore Hospital and Medical Center, Bronx, New York. International Journal of Nursing Studies, 6, 81-97. Kitson, A., Conroy, T., Wengstrom, Y., Profetto-McGrath, J., & Robertson-Malt, S. (2010). Scholarly paper: Defining the fundamentals of care. International Journal of Nursing Practice, 16(4), 423-434. Patrick, A., Laschinger, H., Wong, C., & Finegan, J. (2011). Developing and testing a new measure of staff nurse clinical leadership: The clinical leadership survey. Journal of Nursing Management, 19(4), 449-460. Stanley, D., & Sherratt. A. (2010). Lamp light on leadership: Clinical leadership and Florence Nightingale. Journal of Nursing Management, 18(2), 115-121. Pierce, J., Kostova, T., & Dirks, K. (2003). The state of psychological ownership: Integrating and extending a century of research. Review of General Psychology, 7(1), 84-107. Baltes, P.B., & Smith, J. (1990). Toward a psychology of wisdom and its ontogenesis. In R.J. Sternberg (Ed. ), Wisdom: Its nature, origins and development (pp. 87-120). New York, NY: Cambridge University. Benner, P. (2000). Wisdom of our practice: Thoughts on the art and intangibility of caring practice. American Journal of Nursing (AJN), 100(10), 99-105. Birren, J., & Svensson, C. (2005). Wisdom in history. In R.J. Sternberg & J. Jordan (Eds. ), A handbook of wisdom: Psychological perspectives (pp. 3-31). New York, NY: Cambridge University. Clark, C. (2011). Evidence-based practice and professional wisdom. In L. Bondi, D. Carr, C. Clark, & C. Clegg (Eds). Towards professional wisdom: Practical deliberation in the people professions (pp. 45-62). Burlington, VT: Ashgate. Meacham, J. (1990). The loss of wisdom. In R.J. Sternberg (Ed. ), Wisdom: Its nature, origins and development (pp. 181-211). New York, NY: Cambridge University. Armstrong, A.E. (2006). Towards a strong virtue ethics for nursing practice. Nursing Philosophy, 7(3). 110-124. Bradshaw, A. (2011). Compassion: What history teaches us. Nursing Times, 107(19-20), 12-14. Gong, Q. (2010). Virtue ethics and modern society – A response to the thesis of the modern predicament of virtue ethics. Frontiers of Philosophy in China, 5(2), 255-265. Putman, D. (2012). A reply to ‘skepticism about the virtue ethics approach to nursing ethics’ by Stephen Holland: The relevance of virtue in nursing ethics. Nursing Philosophy, 13, 142-145. Carpenter, B.N. (1993). Relational competence. In D. Perlman & W.H. Jones (Eds.). Advances in personal relationships (Vol. 4, pp. 1-28). New York, NY: Jessica Kingsley. Doane, G. (2002). Beyond behavioral skills to human-involved processes: Relational nursing practice and interpretive pedagogy. Journal of Nursing Education, 41(9), 400-404. Nolan, G. & Walsh, E. (2012). Caring in prison: The inter-subjective web of professional relationships. Journal of Forensic Nursing, 8(4), 163-169. Cossette, S., Pepin, J., Cote, J., & de Courval, F. (2008). The multidimensionality of caring: A confirmatory factor analysis of the Caring Nurse-Patient Interaction Short Scale. Journal of Advanced Nursing, 61(6), 699-710. Khademian, Z., & Vizeshfar, F. (2008). Nursing students’ perceptions of the importance of caring behaviors. Journal of Advanced Nursing, 61(4), 456-462. Noh, D., Arthur, D., & Sohng, K. (2002). Relationship between technological influences and caring attributes of Korean nurses. International Journal of Nursing Practice, 8(5), 247-256. Sprayberry, L.D. (2014). A response to the transformation of America’s health care: Direct-care nurses bring FLOWERS™ to the bedside. MEDSURG Nursing, 23(2), 123-130.